InVision Human Services (IHS) was founded in 1992 and to date has supported more than 500 people throughout Pennsylvania. The Organization currently has over 600 employees serving individuals with disabilities throughout Pennsylvania, primarily in Western Pennsylvania and the Reading area. In 2012, IHS entered into a lease of a 28,000 square foot office building located on Perry Highway in Wexford, PA which serves as InVision’s Western Pennsylvania Division headquarters. A provision in the lease allowed for a purchase option prior to the end of the lease. We were introduced to IHS by Trinity Health, a DOF investor. 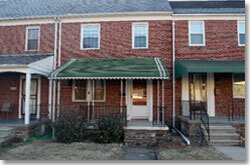 DOF partnered with Dollar Bank (Pittsburgh, PA) to provide the necessary financing for IHS to now own its headquarters.